In the Summer of 2009, TFI delivered about $500,000 worth of shoes, clothing, toys, and medical supplies to schools and clinics in Delhi and Dharamsala, India. All items were collected and donated by our partners Peace Builders, Inc. and MedShare, without which this work would not have been possible. 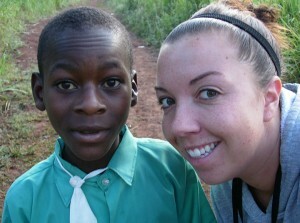 Our local guide David Ngone also provided invaluable help. The article is from the Tibetan Delek Hospital Newsletter, July 1 to December 31, 2009. 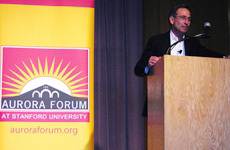 On April 5, 2008, Tom Nazario was the opening presenter at a day-long conference entitled “Global Solidarity, Human Rights, and the End of Poverty.” The Aurora Forum joined with Stanford’s King Institute to commemorate the fortieth anniversary of the assassination of the Reverend Dr. Martin Luther King, Jr. with a program on the struggle for economic justice around the nation. 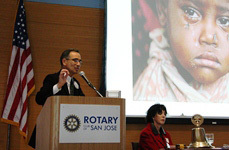 Tom Nazario was invited to speak at The Rotary Club of San Jose on December 5, 2007, about children around the world who live in poverty and the work of The Forgotten International. 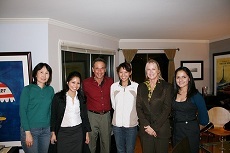 He often gives presentations to community organizations and foundations in the Bay Area to bring awareness to the problem of global poverty, in particular how it affects women and children. It was my dream for quite some time to take a leave from being a lawyer and go off to see India. In the Fall of 2007, The Forgotten International gave me the opportunity to do just that.